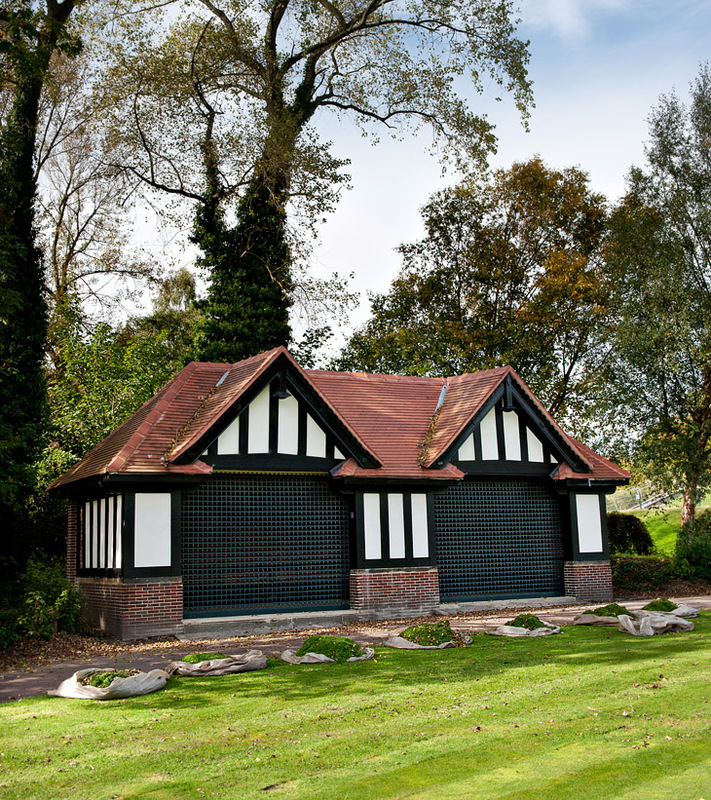 Newly restored shelter in Mesnes park. 26th Sept 2011. What a fantastic job they have done of the shelter cant wait to see the rest of the restored buildings. Very nice, are they putting forms back in there, was superb sitting in the cool shade on a hot summers day, or watching the world go by on a rainy day, this was in the sixties early seventies though; before the vandals had rampaged their way through the park. Had to do a double take on the photo after reading your post Catherine, when I had first looked at the photo I had presumed that those white grid like lines to be cement pointing around the bricks and not security shutters.